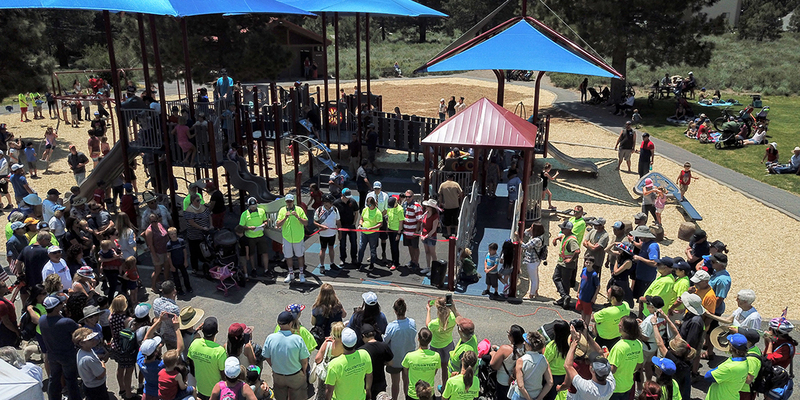 On July 4, 2018, the Town of Mammoth Lakes officially opened its first-ever inclusive playground. 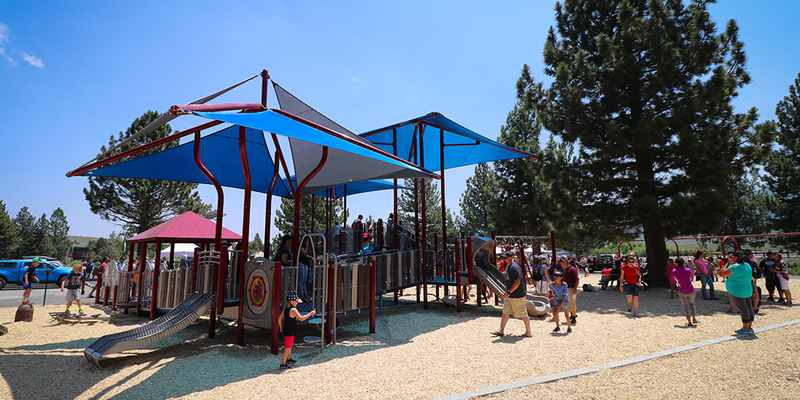 Located at Mammoth Creek Park West, the playground is a gateway to playful, healthy and active lifestyles for both residents and visitors. 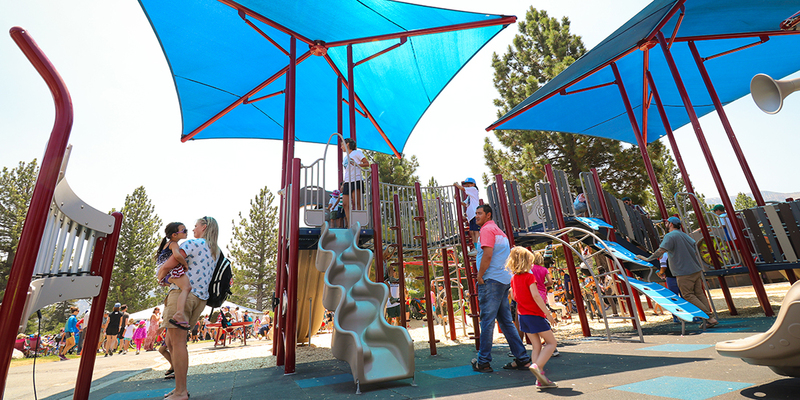 Incorporating the Seven Principles of Inclusive Playground Design, the 7,700 square foot playground is specially designed to unite children, families and community citizens through the power of play. 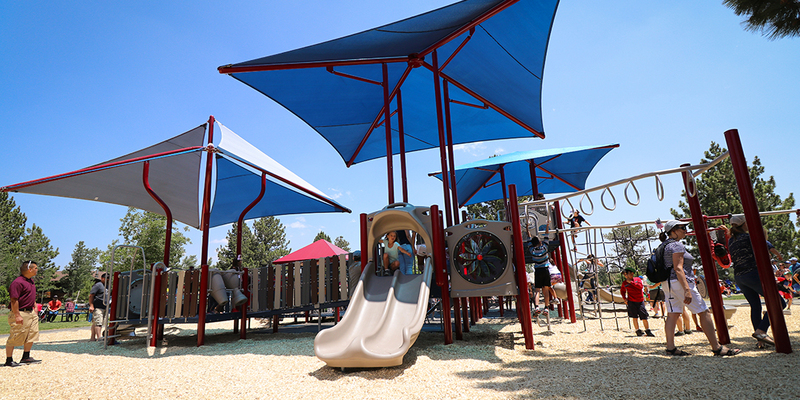 The playground also features impact absorbent accessible surfacing to allow wheelchair access and other mobility-assisting devices. 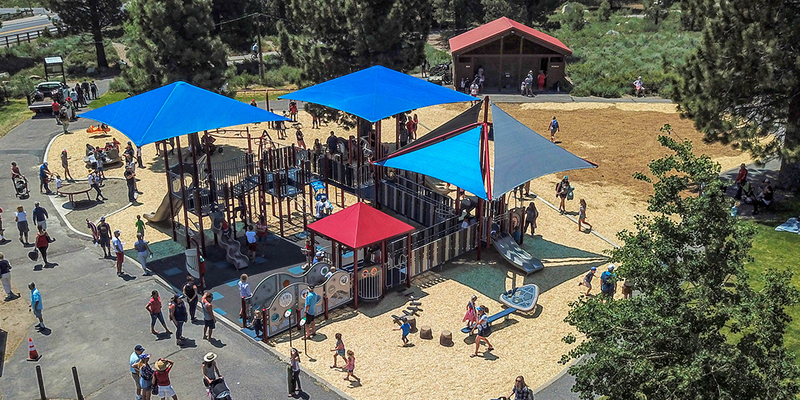 The playground is the first truly inclusive playground incorporating research-based, best practices in Eastern California and will also serve as a National Demonstration Site (NDS). 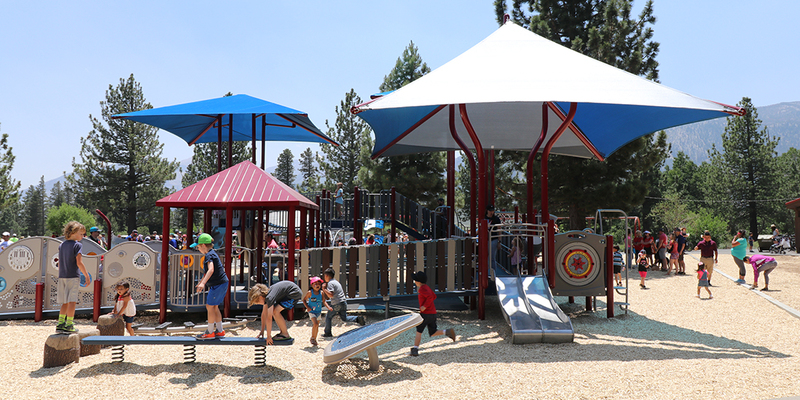 Mammoth Lakes Recreation would like to thank the Town of Mammoth Lakes , PlayCore and GameTime, Mammoth Pacific Geothermal, the Rotary Club of Mammoth Lakes, and every business, organization and volunteer who donated their time or money to make this facility playground a reality. The inclusive playground is scheduled to be installed this summer and the Town is looking for volunteers. 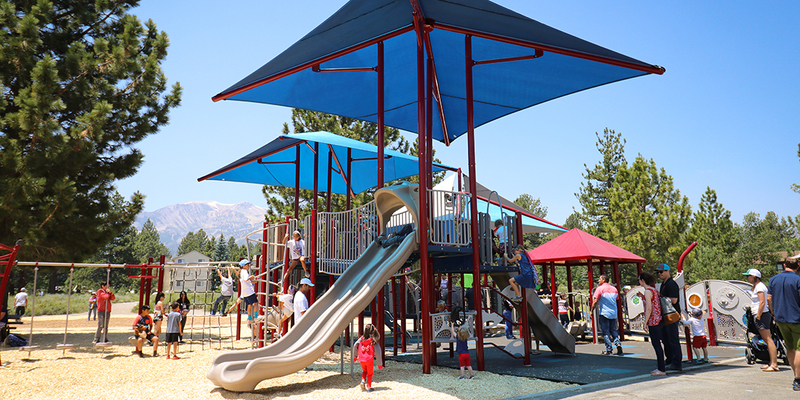 Based on the current schedule for the site work and removal of the existing playground, the ‘supervised’ community build is scheduled from June 11 – 22, 2018. If you can volunteer 2-4 hours of your time, please register online. For each shift worked, every volunteer receives a custom T-shirt, lunch and a chance to win great raffle prizes such as a 32” LED TV, 3-day 2018 Bluesapalooza passes, Whitmore Pool passes, restaurant/retail certificates, and more!